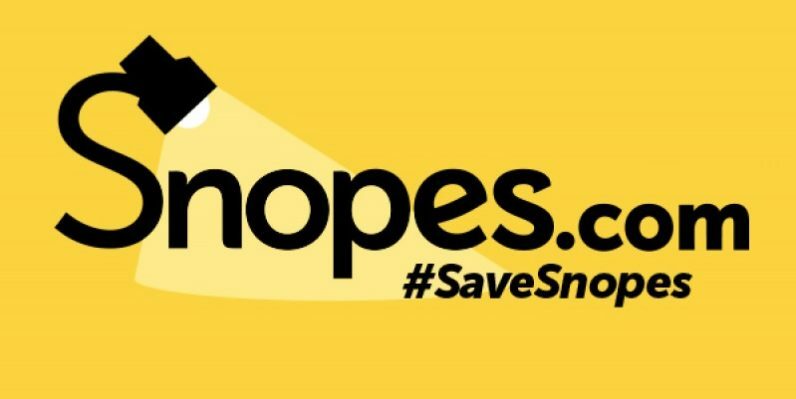 Fact-checking site Snopes has become center of an ugly legal battle, and it’s asking for monetary help to keep the lights on. Unfortunately, it’s looking like donations might not be enough to help in the long run. Snopes’ reputation is such that it was chosen to work with Facebook to factcheck alleged fake news on social media. Even I’ve been there multiple times to find alternate perspectives to popular stories — if nothing else, it’s a place to engage. Snopes now has a Gofundme page to help keep it running. According to the page, the reason it needs help now is a vendor it’d partnered with will not relinquish control of the site — meaning, Snopes can’t put up the advertising it uses to fund itself. Apparently the root of the issue is a nasty divorce between the husband and wife pair who founded the site. When Barbara Mikkelson divorced her husband — and Snopes co-founder — David, she sold a controlling interest to Proper Media, the vendor in question. Proper Media, for its part, claim Snopes is exaggerating and, if anything, the crowdfunding only strengthens its case. It claims Mikkelson mismanaged the company deliberately in order to gain control of his ex-wife’s share through subterfuge. The legal battle for the heart of the site is more seedy and fascinating than some of the debunked stories on it. Still, it’s a little chilling to think that a site we’ve come to rely on, for better or worse, could get shut off over something so seemingly petty. Snopes has already raised over $208,000 of it’s $500,000 goal, so it looks like the lights will stay on there for a little bit longer — but maybe not indefinitely.